Material: Shell fabric: 45% acrylic, 25% cotton, 25% nylon, 5% wool. 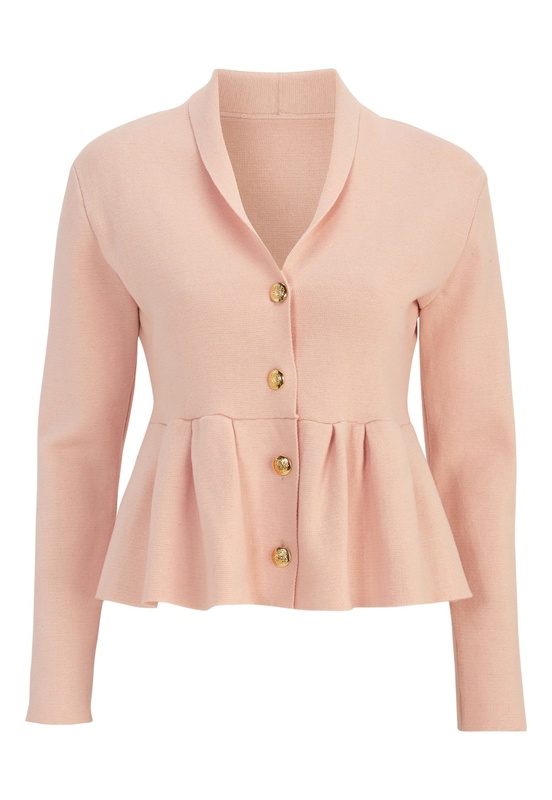 Knitted peplum blazer from CHIARA FORTHI. The blazer has pretty and decorative gold buttons at the front and on the wrists.